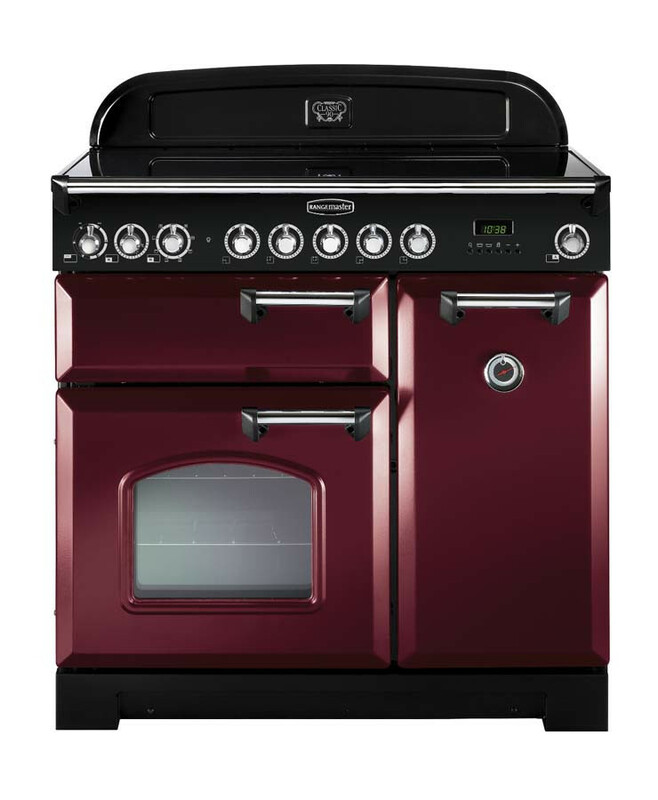 Staying true to the iconic styling of the Rangemaster Classic, with it’s bevelled doors and arched window the Classic Deluxe delivers a host of innovative, up-to-the-minute features whilst retaining it’s traditional looks. The Classic 90 Ceramic offers a 5 zone electric hotplate delivering impressive heat-up times and responsive controls. Ceramic hobs are also relatively easy to clean when compared with their gas counterparts and benefit from ‘hot hob’ warning indicators for additional safety.